My camper never came with the under-tray components that are fitted from new. 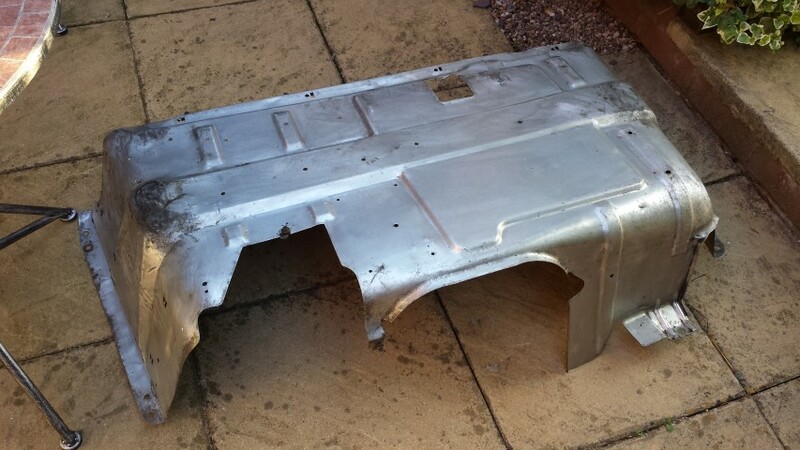 This basically consists of a large, thin pressed metal element that sits underneath the engine. It contains high density proofing that is held onto the tinware by plastic cross retainers. 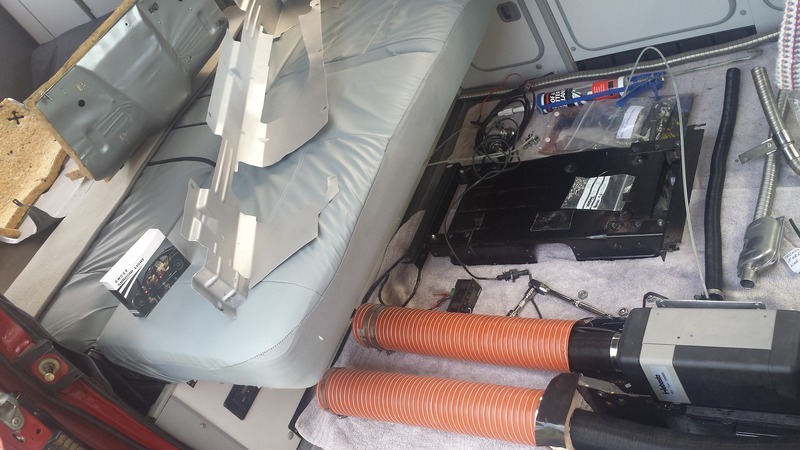 To complete the this there is a separate part that draws air into the turbo to keep that cool, and another piece of tinware that drops down at the back of the van to provide a fastening point for the main under-tray. Being a newcomer to the whole T3 van scene I didn’t have the experience to know what should have been fitted to the vehicle and what shouldn’t. It was around the time i decided to change my exhaust that I realize that this part was missing. After some discussion on forums it soon became clear that the extra time for maintenance in having to remove these items, often lead to it never being put back on again. However, after some thought i decided to track down these missing parts and fit them back on the van. My reasoning was, they were designed by VW to be fitted, so they must have had a justification for doing so. The obvious ones were to reduce noise, and cool the turbo. 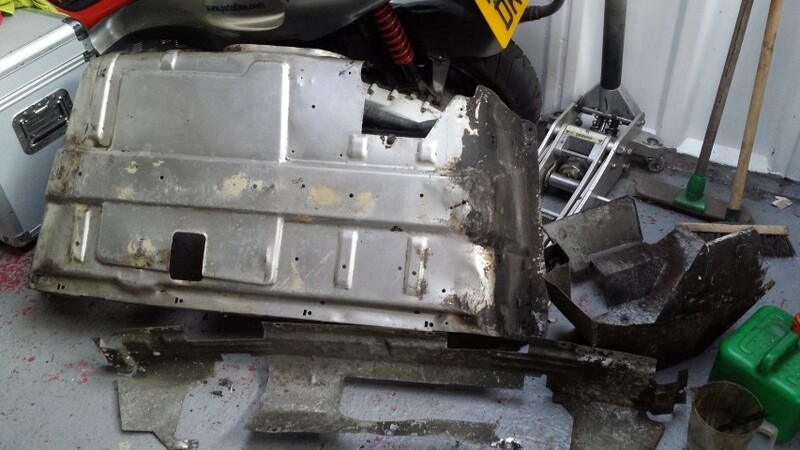 Stopping dirt and dust from the road filtering into the engine bay is another, and reducing the amount of muck getting on the bottom of the engine \ sump. I found a complete set of tinware in the UK, and had it shipped over. It total it cost me about £60 including delivery. It was covered in a thick black oily deposit. Waxoil, Dinitrol or Tetroseal? Anyway, I decided that it was going to be cleaned off and the whole thing would be painted in Hammerite silver. I removed the black oily covering with petrol which was really effective at breaking it down to a liquid. I then just wiped it off with a rag. 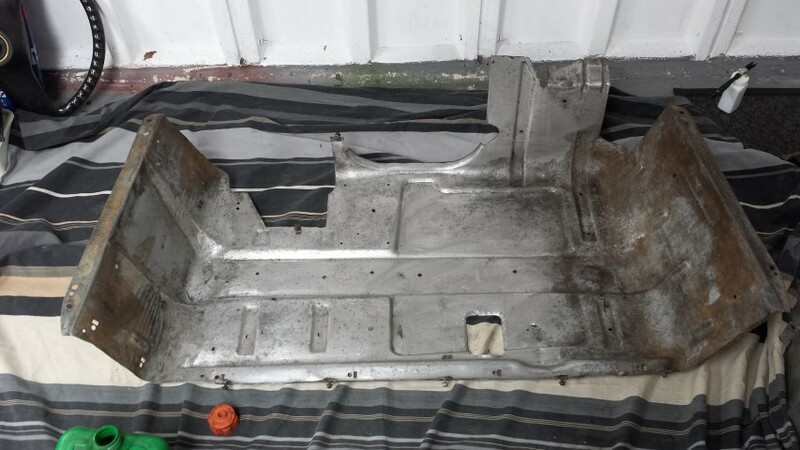 I must admit, although the covering was not pleasing on the eye, i feel it must have done it’s job in preserving the tinware, Although it is galvanized, i feel it would have been in a lot worse condition if not for the gunk. Unfortunately , that’s about as exciting as this post gets. As you can see from the photo at the top of this post, that is the finished article. As with most of the maintenance work underneath the van, it’s always easier to get a garage to do it due to the awkward position of the items. This was fitted along with the Webasto night heater. Its questionable as to weather or not this makes a great deal of difference acoustically whilst inside the van. However, It does make a difference from outside (which my neighbors will surely appreciate 🙂 ) . Thanks for the post, Ive been enquiring about engine under tray for some time and not many people know about this item. Ive just bought a T25 1990 that came fitted with same, fiddly/messy job getting it off and cleaning. Had to remove/dump sound proofing which was soaked in oil, uggghh. 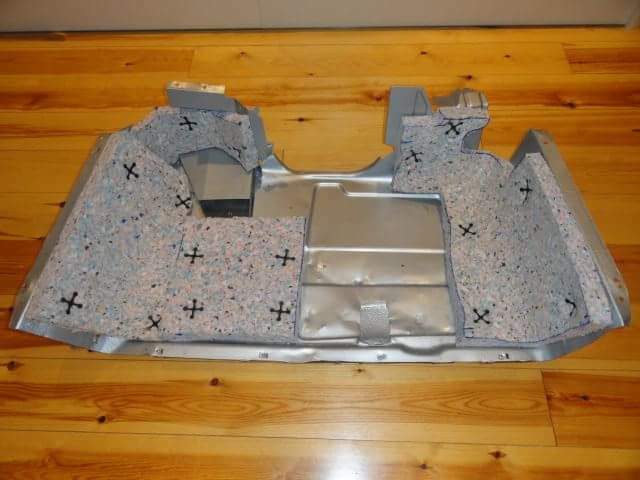 Not sure whether to replace with new soundproofing? Where to buy?